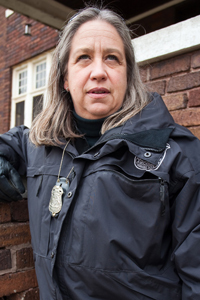 Debby MacDonald is a Chief Investigator for the MHS Cruelty Investigation Department, as well as the Facility Director for the MHS Detroit Center for Animal Care. Debby began working with MHS in 1982 as a volunteer. Since then, she has held a variety of positions, including adoption counselor, animal evaluator, field agent and eventually cruelty investigator. Debby worked solely within the Cruelty Investigation Department for sixteen years, before becoming a facility director in 2007. Debby is certified by the Law Enforcement Training Institute of the University of Missouri's Cruelty Investigation School, and also serves as an instructor and presenter for cruelty investigation professional development opportunities nationwide. She currently resides in the metro Detroit area, and has two dogs, two tarantulas, and a cat - all adopted from MHS. Despite the difficult situations you encounter, what keeps you passionate and able to come to work everyday? "The fact that everyday we’re able to make positive changes in animal lives is what keeps me motivated." Mark Ramos is a Senior Cruelty Investigator and Supervisor for the Michigan Humane Society’s Cruelty Investigation Department. 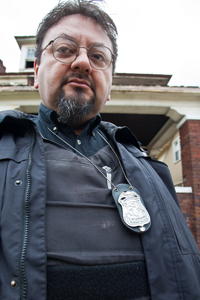 Born and raised in southwest Detroit, Mark began serving as a cruelty investigator for MHS in 1997. Prior to that, he received four years of emergency rescue experience. In addition to his work within the Cruelty Investigation Department, Mark also serves as Supervisor for the Emergency Rescue team. Mark is certified by the University of Missouri’s Law Enforcement Training Institute, and currently resides in the metro Detroit area. He has six pets – including a bearded dragon, a three-legged dog, and a cat who was found after being set on fire by neighborhood bullies – all adopted from MHS. What is the case that sticks out most in your mind? "The cases that stick with me the most are those that involve kids. They’re often violent crimes, and the kids involved often seem immune to what they’ve done. It’s scary, because they become so desensitized that if someone doesn’t intervene, there’s often no hope for them." Michele Baxter is a Cruelty Investigator for the Michigan Humane Society’s Cruelty Investigation Department. Michele started as volunteer with MHS in 1992, and has since held a variety of roles at the organization. 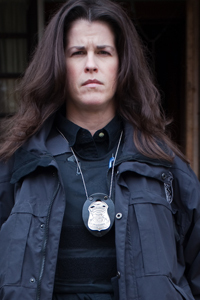 In 1998, Michele took a hiatus, working as a police officer in Sandy, Utah. She returned to MHS in 2006. In addition to receiving police academy training in Utah, Michele is certified by the University of Missouri’s Law Enforcement Training Institute. Michele currently resides in the metro Detroit area and has two pets, an English Budgie and a parakeet. What is the best part about your job - what makes it “worth it”? "Being able to see a case from beginning to end - to watch it unfold and see animals who were once abused find a great home. It’s uplifting to know that my conversations with people made a difference, and that I can educate them and help them better care for their animals." David McLeod is a Cruelty Investigator with the Michigan Humane Society. David began working at MHS in 2002 as an emergency rescue driver, before moving into his current position in 2005. Born and raised in Detroit, David has adopted two bulldogs from MHS, including Bugsy, who often gets to come visit his dad at work. David is certified by the University of Missouri’s Law Enforcement Training Institute. How does it make you feel when you are able to help an animal in a situation of cruelty or neglect, such as a dog tied in a backyard without proper food, water and shelter, not to mention stimulation and social interaction? "When we're able to either greatly improve a suffering animal's conditions through educating the owner or get an animal out of a bad situation and into a loving home, it gives me a great feeling of satisfaction. A dog or any other pet is a living, breathing creature and needs to be loved and cared for by his family." 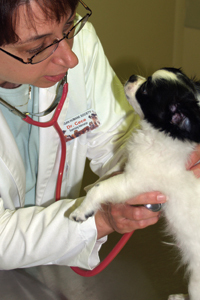 Dr. Shirene Cece is the Supervising Veterinarian for the Veterinary Center at MHS’ Detroit Center for Animal Care. Among many other duties, Dr. Cece responds to requests from the Cruelty Investigation Department to examine animals that are rescued from abusive or neglectful situations. She has examined and treated a variety of injuries and conditions, including starvation, gun shot wounds, bite wounds, stabbing and blunt injury trauma. She also examines deceased animals to determine cause of death. Dr. Cece began her career at MHS in 1977 as a clinic assistant and receptionist. After earning her D.V.M. from Michigan State University, she returned in 1984 as a veterinarian, and eventually became the supervisor of the veterinary center. What do you find most satisfying about helping animals in need? "The most satisfying moments are when an abused animal is rescued, treated and adopted out to a caring home!" Natatia Nix and Pat D’Herde are Office Coordinators for the Michigan Humane Society’s Cruelty Investigation Department. Each day, they are responsible for receiving and dispatching cruelty complaints; prioritizing cases for the department’s two teams of investigators; and tracking the progress of animals that come in through cruelty or neglect situations. Both also serve as coordinators for the Michigan Humane Society’s Emergency Rescue Department. Natatia began working at the Michigan Humane Society in 2003 as a receptionist for the Detroit Veterinary Center. In 2005 she began dispatching calls for the Emergency Rescue Department; when the Cruelty Investigation and Emergency Rescue departments united operations two years later, Natatia stepped into her current role. 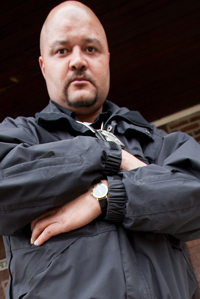 Pat began working for the Cruelty Investigation Department in July 2008. Prior to joining MHS, Pat gained significant accounting and police training experience throughout the metro Detroit area. She also received direct animal care experience while opening her home to animals in need of dedicated foster care.